AnglicareSA was lit up blue as part of World Autism Awareness Day on 2 April. The St Barnabas building at 18 King William Rd, North Adelaide took on a blue tinge overnight to raise awareness of Autism. World Autism Awareness Day kicks off April being Autism Awareness Month. 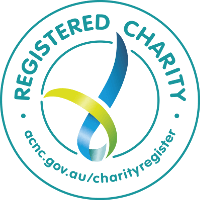 For more information about Anglicare’s Autism Specific Early Learning and Care Centre (ASELCC) click here. To read about the ASELCC in the Adelaide Advertiser click here. More details about the international ‘Light it up blue’ campaign, which encourages people and organisations to go blue to raise Autism awareness, can be found at www.lightitupblue.org.au.